Fujifilm has dubbed its latest product, the X-T30, “The Little Giant” and for good reason – it sports many of the most exciting features of the flagship X-T3 in a smaller and more affordable package. These include the latest X-Trans IV sensor, the most advanced version of Fujifilm’s hybrid autofocus system to date, impressive burst speeds with the electronic shutter, 4K video recording and much more. To be honest, there isn’t a whole lot that sets these two cameras apart, but given the price gap, it is worth investigating the differences. Let’s begin! Ethics statement: We tested a pre-production X-T30 sample at a press event in London for an afternoon and we own a copy of the X-T3. Within the article, there are affiliate links. If you buy something after clicking one of these links, we will receive a small commission. To know more about our ethics, you can visit our full disclosure page. Thank you! Beyond the size and weight, there are some other physical differences that distinguish the two cameras. The X-T3 has dedicated ISO and metering dials in addition to the shutter speed, exposure compensation and drive dials found on both cameras. It is also the only one with a four-way D-pad on the rear. The X-T30 comes with a built-in pop-up flash whereas for the X-T3, you have to connect to separate speed-light (the small EF-X8 is included in the box). Both have a focus switch out front and a joystick on the rear which can be used to move the AF point or browse through the menu. Three features of the X-T3 that will interest professionals are the larger grip, which is better suited to telephoto lenses (although an additional grip is advantageous for long hours of work); the weather-sealed chassis, which is dust, moisture and freeze proof down to -10 degrees C; and the dual SD cards slot with UHS-II compatibility. Some other features they share include a hot shoe and a good number of customisable function buttons. Whereas the X-T3 is only available in black or silver, the X-T30 will be available in three variations: black and silver when the camera is released in March and later the luxurious-looking ‘charcoal silver’ in May 2019. Because the X-T30 targets casual users more that it does professionals, Fujifilm made sure to furnish it with an Advanced SR Auto mode. To activate it, simply set the switch on the top plate to Auto and the camera will automatically choose the best exposure and autofocus settings from a variety of presets. It is ideal for those situations where you aren’t sure which settings to use, or when you want to fire off a quick shot. The X-T3 doesn’t have a dedicated Auto mode per se but you can force the camera to automatically select the exposure on its own by switching the shutter speed, ISO and aperture values to A (Auto). The X-T3 has a better viewfinder than the X-T30. Not only does it have more resolution (3.69 vs 2.36 million dots) but the panel is larger (0.5-inch vs 0.39-inch) and the magnification is also higher (0.75x vs 0.62x). The eyepoint is 23mm. Fujifilm doesn’t specify the length for the X-T30, but it is likely to be the same as the X-T20 (17.5mm). Both viewfinders cover 100% field of view and have a refresh rate of up to 100fps when the Boost mode is activated. The X-T30 uses the same finder as the X-T20 but the panel’s brightness has been improved on the new model. Despite not being as pleasant to use as that of the X-T3, we’ve never had any real issues with the X-T20’s finder and we found the experience to be very similar with the X-T30 when we used it at the UK press event. That being said, the longer eyepoint as well as the softer and larger eyecup make the X-T3 EVF more comfortable, especially if you’re wearing glasses. Both the X-T30 and X-T3 sport a 3-inch LCD monitor with a resolution of 1040K dots and a 3:2 aspect ratio. 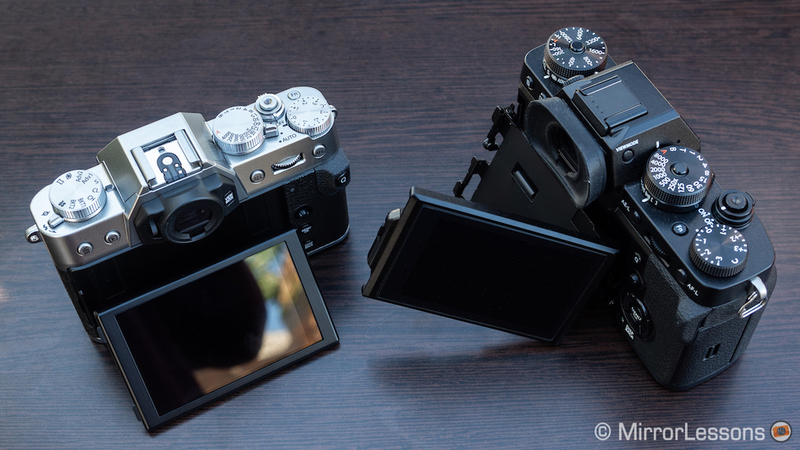 However only the X-T3’s screen can tilt up, down and to the side for vertical shooting. The X-T30, by comparison, employs the standard two-way tilting type and is 1.3mm thinner. Both monitors are touch sensitive but the X-T30’s is more responsive, which is a good thing as we’ve always found touch sensitivity somewhat sluggish on Fujifilm cameras. When firmware 4.1 becomes available for the X-T3, it will receive the same upgrade. 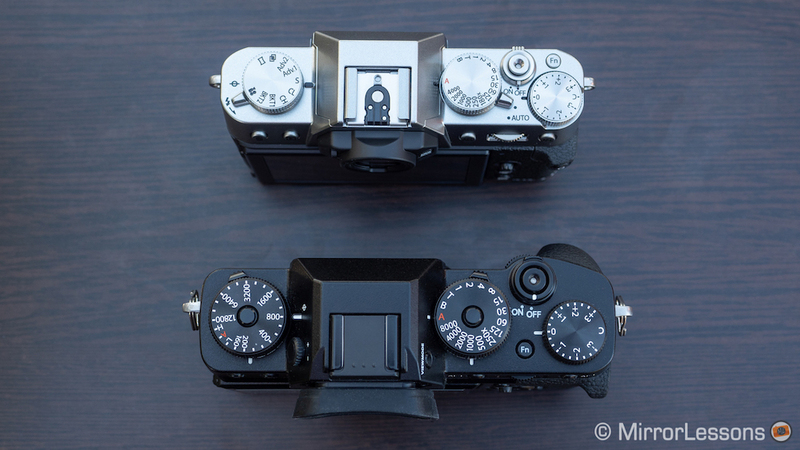 The X-T3 and X-T30 both use Fujifilm’s fourth generation phase detection autofocus system. 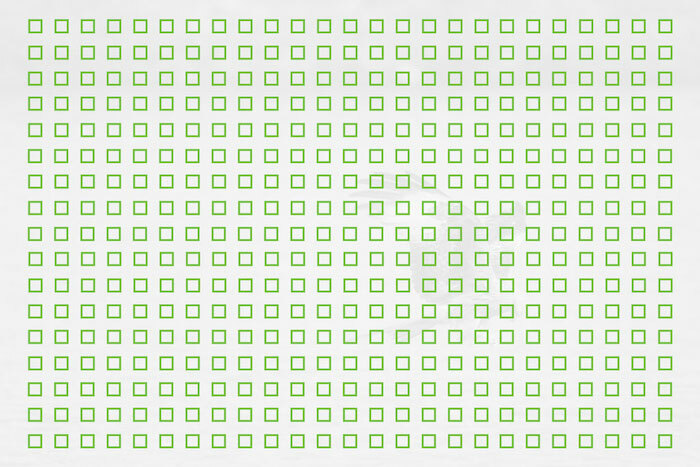 It features a total of 117 points on a 13×9 grid which can be further subdivided into 425 points on a 17×25 grid. 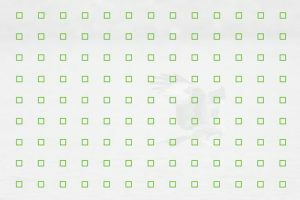 These phase detection pixels cover almost the entire sensor area (99%) and phase detection autofocus in low light is also more sensitive at -3EV. Both cameras also come with Fujifilm’s AF-C Custom Settings which let you customise the reactivity and speed of the autofocus according to the movement of the subject. Face and Eye tracking: the tracking capability has been enhanced for stills and video, including more stable exposure even if the camera detects black hair and support for smaller face tracking (i.e. faces that are further from the camera). Obstacles no longer cause the camera to lose track of the subject. Face selection: you can select the face you want to track using the LCD touch panel or the joystick. Non-stop Phase Detection AF: Faster focusing even when there is a big gap between subjects. 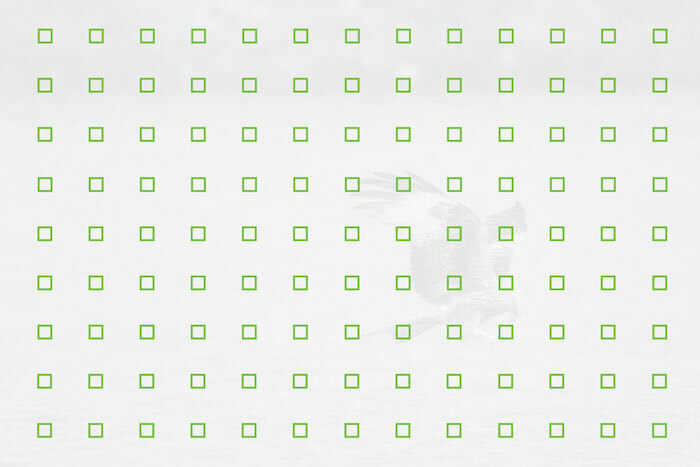 Up to 300% faster focusing from far-to-near and near-to-far when using PDAF with longer telephoto lenses. 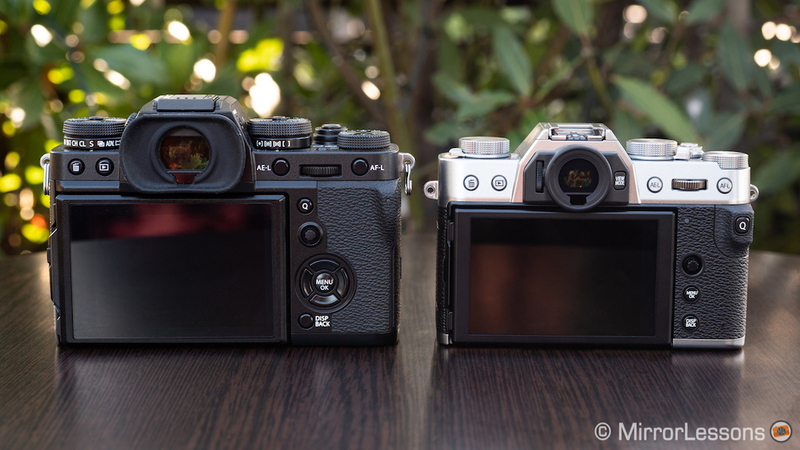 We were already satisfied with the face and eye detection improvements made to the X-T3, and the X-T30 felt even more reactive during our hands-on time with it. All these features will come to the X-T3 via firmware 4.1 in April 2019. 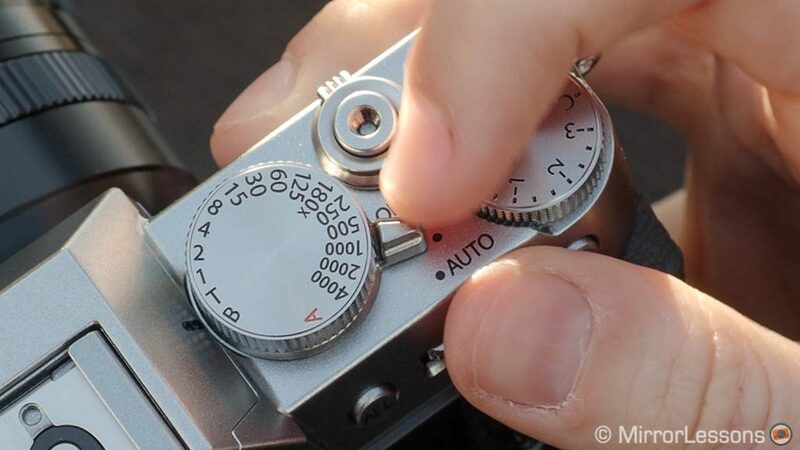 When this happens, there will no longer be any autofocus differences between the two. Both the X-T3 and X-T30 boast very impressive continuous shooting speeds with the electronic shutter. You can shoot at up to 20fps at full resolution, or 30fps using the 1.25x crop mode and a reduced resolution of approximately 16MP. Note that AF and AE tracking are maintained at all speeds. The electronic shutter provides a blackout-free live view of your scene with a refresh rate of 40fps or 60fps in crop mode. At the time of writing, the only other camera capable of delivering an uninterrupted live view at high burst speeds is the Sony A9. Switch over to the mechanical shutter however and there is a slight difference between the two cameras. Whereas the X-T3 can reach a maximum of 11fps, the X-T30 is limited to 8fps. What’s more, only the X-T3 offers an electronic first curtain shutter option. 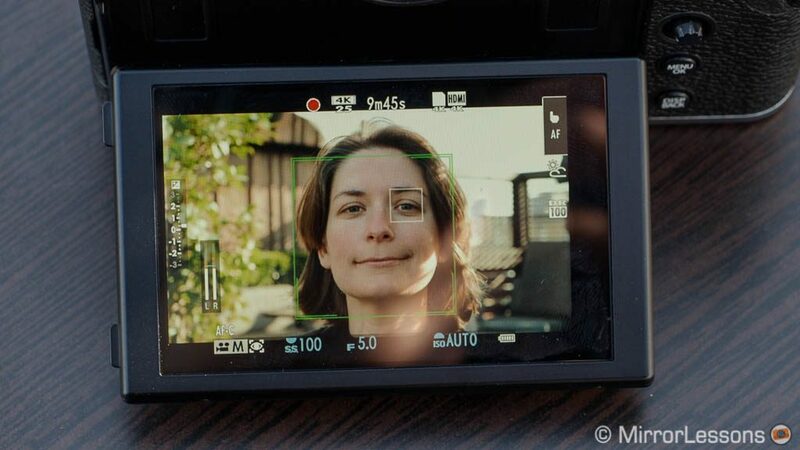 A smaller difference between the two cameras is the buffer depth. The X-T3 can manage approximately 49 RAW frames or 200 JPGs at 8fps whereas the X-T30 is capable of 18 RAW / 90 JPG frames at the same speed. Although both cameras boast 4K capabilities, there are some differences worth mentioning as we’ll find out below. To start with, the X-T3 can record 4K at 60fps internally and that’s not all – it offers 4:2:0 10-bit colour depth. In addition to Long-GOP (IPB), the camera also offers All-Intra compression. The maximum data rate with All-Intra is 400Mbps (30fps) or 200Mbps (60fps). 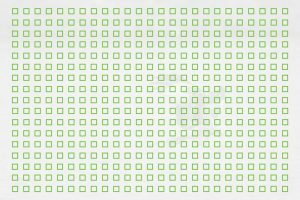 There are also two codecs – H.265 and H.264 – but the latter is not available when recording in 10-bit. The X-T3 crops the sensor by 1.18x when recording 4K video at 60fps but uses the entire width of the sensor at 30fps, just like the X-T30. In the case of both cameras, the footage is downsampled to 4K from 6K-worth of data to improve the quality of the recording. Both cameras can output 4K to the HDMI port in 4:2:2 10-bit but the X-T3 do this at up to 60fps as mentioned before. Also worth noting is that the X-T3 can record 4K/60p internally up to 200Mbps while sending the signal to the HDMI output, making it possible to simultaneously record to an SD card and external recorder. 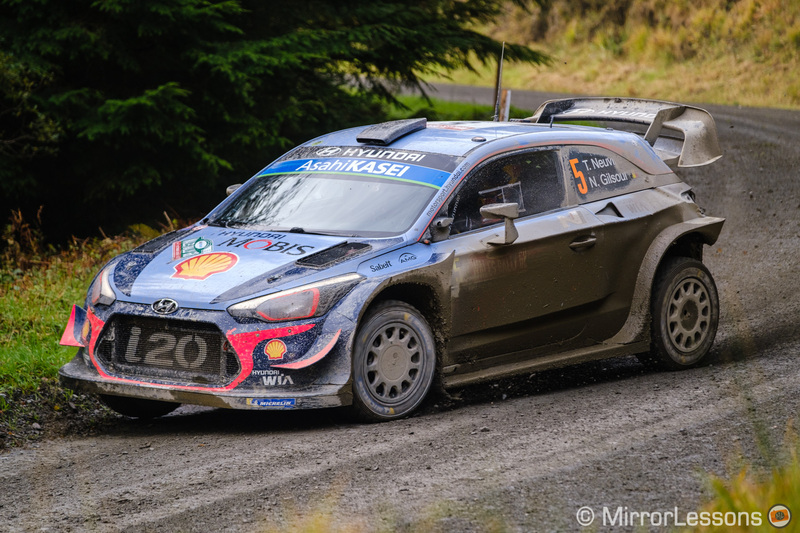 In Full HD, they offer a maximum frame rate of 120fps at 200Mbps for slow motion footage. There is a 1.29x sensor crop when recording this speed, allowing the cameras to produce better quality. As for the recording limit, the X-T30 is capped at 10 minutes in 4K or 15 minutes in Full HD whereas the X-T3 can record for 20 minutes in 4K/60fps, 30 minutes in 4K/30fps or 30 minutes in Full HD. Both include features such as internal F-Log (Fujifilm’s log profile), ETERNA film simulation mode, DR settings for more dynamic range, the Zebra setting, 4K inter frame noise reduction, and digital high bit-depth sound (24-bit 480Khz). However only the X-T3 supports HLG (Hybrid Log Gamma) video recording. Fujifilm produced the VG-XT3 vertical battery grip for the X-T3, not only to prolong the battery life but also to improve the handling of the camera with telephoto lenses. Designed to be completely weather-resistant, it holds two additional batteries to increase the maximum number of shots to 1100, which can be useful for long days of shooting. 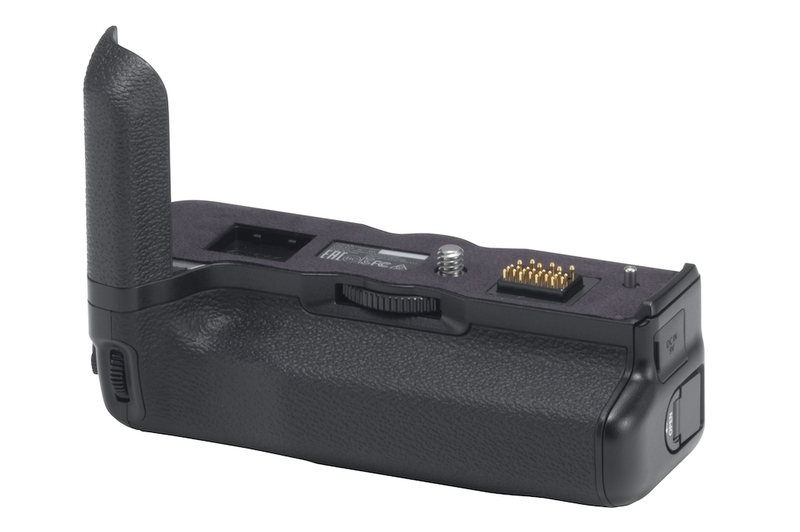 The grip includes many of the controls found on the X-T3 body, including a shutter button, joystick, AE-L button, AF-L button, front and rear command dials, Q button and Fn button. 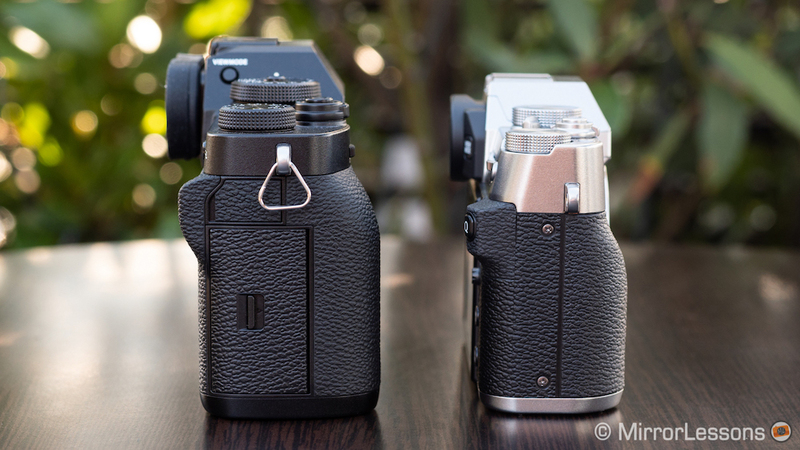 There isn’t an official battery grip available for the X-T30 and it is unlikely that one will be produced. You can purchase an optional grip extender however such as the one listed in our accessory list. The actual battery life of the X-T3 is rated at 390 frames, which is only a little more than the X-T30’s 380 frames. Both can be charged via USB and powered while in use. 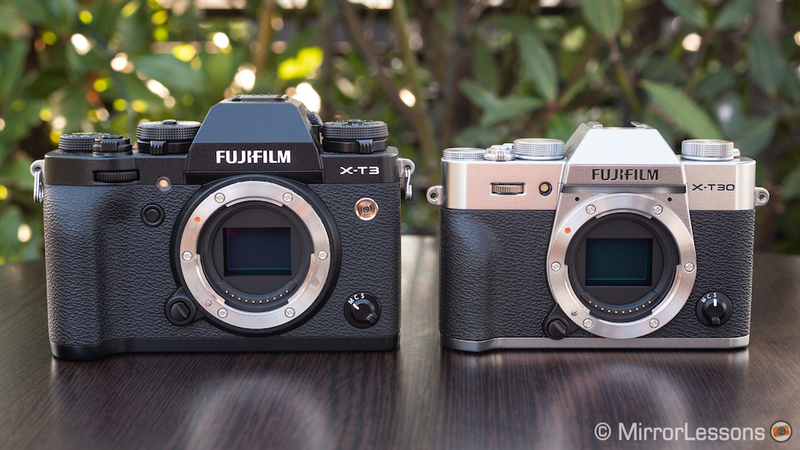 The price is easily one of the biggest differences between the X-T3 and X-T30. The X-T3 has a retail price of $1500 / £1350 / €1530 (body only) whereas the X-T30 can currently be found for around $900 / £850 (body only). 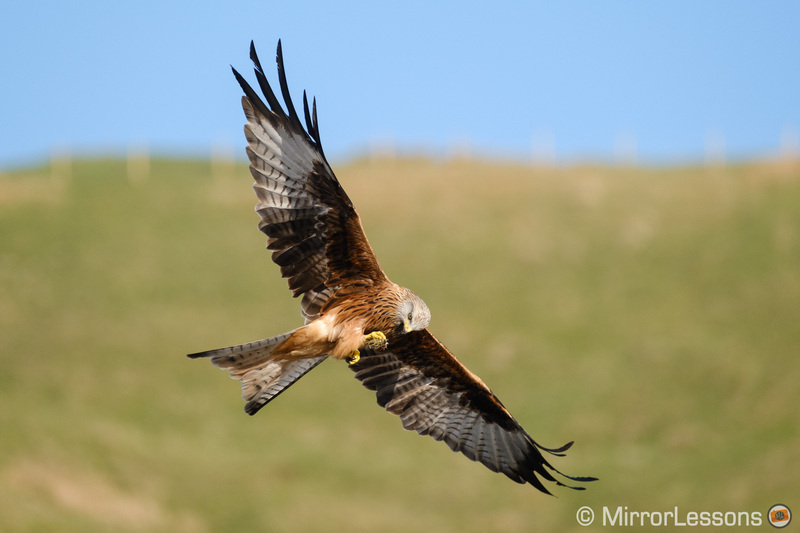 The X-T3 has a few distinct advantages over the X-T30, although whether they justify the extra expense is completely dependant on the kind of features you expect from your camera and the genres you enjoy. The first is of course the larger body and – if you decide to purchase it – the vertical battery grip. Both were conceived for use with the larger lenses in X series. If you plan to do a lot of sports or wildlife photography, there’s no question the X-T3 is the more comfortable body to hold for long periods of time. And if you don’t fancy the idea of increasing the size of your camera with the battery grip, there are smaller grip extenders that will enhance the ergonomics. The bigger body isn’t the only reason to choose the X-T3 for sports and wildlife. There is also the EVF, whose larger magnification and higher resolution improve the user experience, as well as the buffer depth, which is much higher on the flagship model. Finally we have the video specifications, which despite being excellent on the X-T30, aren’t quite at the level of the X-T3. For example, you don’t get 10-bit internal recording, 4K/60p or the longer recording times. For this reason, if you do a lot of video recording, you may prefer the features of the flagship. Want to know more about the X-T30? Check out our hands-on video!